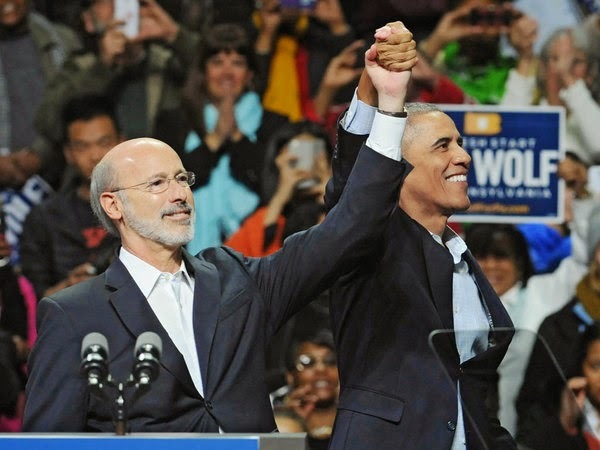 President Obama went to Philadelphia on Sunday to headline a rally for Democratic gubernatorial nominee Tom Wolf (photo below). With any other president, citing the party of the candidate would not be necessary. But for the president who declared "He (i.e., Wolf) doesn't care if the idea is from a Republican or a Democrat as long as it works," it is necessary. For a president who last year barely acknowledged (and assiduously campaigning for) the Democratic nominee for governor, State Senator Barbara Buono, it is necessary. Of course, Buono was running against incumbent governor Chris Christie, an Obama favorite with whom he made sure he was photographed (photo way below) the day after Memorial Day in 2013. And unlike Wolf, Buono was very likely to lose. But Barack Obama was popular in New Jersey at that time and he is popular in the city of Philadelphia, where his job approval rating is 51%, higher than anywhere except in his own family, and there is no confirmation of that exception. Wolf, who has been of the remarkably unpopular Tom Corbett by double digits in every poll, will win on Tuesday, which Obama will be able to claim as a notch on his belt. He would not have been able to claim victory in the Christie-Buono race, which the Democrat would have lost, and anyway, there was no reason to travel to New Jersey to knock one of his favorites. all boiled down to one simple message, spelled out in 10-foot high letters held up in the crowd: V-O-T-E.
"Vote! Vote! Vote! Vote!" Obama said. The crowd shouted the word back at him. It's a Philadelphia tradition: Democratic candidates for governor and even president are asked to give hundreds of thousands of dollars in "street money" to the party's ward leaders to finance get-out-the-vote operations in the city on Election Day. They usually say yes. Tom Wolf, asked for $340,000, said no. The Democratic gubernatorial nominee declined to reach into his campaign fund for the money, saying he wanted to win by appealing to voters on issues and offering the chance to defeat Gov. Corbett, who remains unpopular in the city. "I'm not one to do that," Wolf, a York businessman whose run for governor is his firtst, told The inquirer last week. "I think I'm trying to appeal to people's best instincts to vote. I don't want them to vote or bring people out or do something because I'm paying them- I want them to do it because they actually think their lives might be better. It might sound naive... if it takes some cash to do that, then I've failed as a politician." Those are clever words, and a deceitful argument, from a man who as of two weeks ago had raised over $27 million, seven million dollars more than his opponent. That street money, however, is not meant to get "people out or do something because I'm paying them." 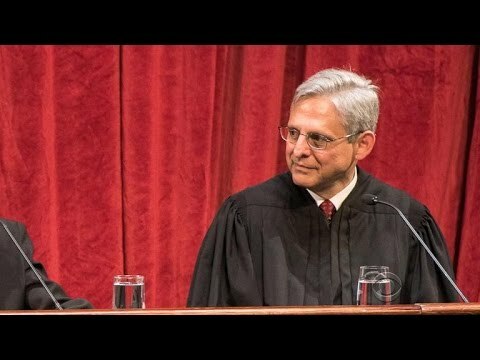 Were that to happen, it would be bribery. The people aren't being paid to vote- the individuals (with a net worth a tiny fraction of Wolf's) who work to keep the party successful in the city use it to increase turnout. The increase in turnout would accrue to the benefit of Wolf and down-ballot candidates. This does not make Wolf (who was described by Obama as not "a professional politician) "naive... as a politician." It is his way of saying gosh darn, I'm not really a politician,. It is a selfish move by a candidate who, justifiably (given his opponent) has been supported generously by unions while downplaying their support. It sounds, also, like the public official who was in town Sunday night to inspire his own fans to go out and vote. No wonder Tom Wolfe has found a friend in Barack Obama, the president who lifted not a finger for the Democratic gubernatorial nominee in the state next door when said nominee was unlikely to win against a guy who is the President's kind of Republican.